Today Arturia announced the availability of its new organ emulation, the VOX Continental-V organ. 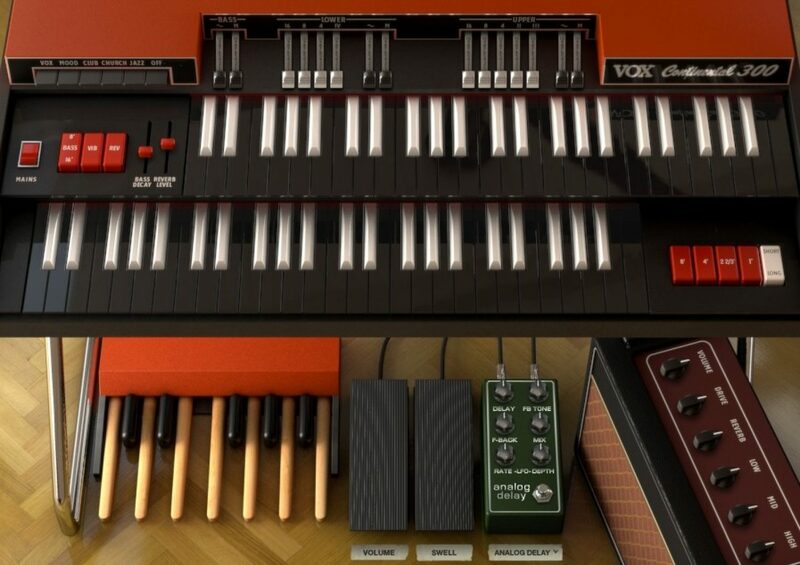 The emulation aims to bring the classic sound of the VOX Continental 300 organ, a classic organ used by a number of bands in the 60s, 70s and 80s. The emulation includes an emulation of the rare Jennings J70, as well as including a number of stompbox-type effects. It also models three microphones: the Shure SM57, Sennheiser MD 421 and the Neumann U 87. Amps which are modeled in the plugin include the Fender Deluxe Reverb Blackface, Fender Twin Reverb Blackface, Fender Bassman, Marshall Plexi and the Leslie Speaker. To buy the plugin for yourself, head here, or click the buy link in the sidebar.